Please Note: If we do not have painters one hour before closing time we might close earlier. Please check both the website and Facebook in case the studio is booked for a special activity. Please note our opening hours have changed slightly- we now close at 3pm on Wednesday’s when it is not school holidays. 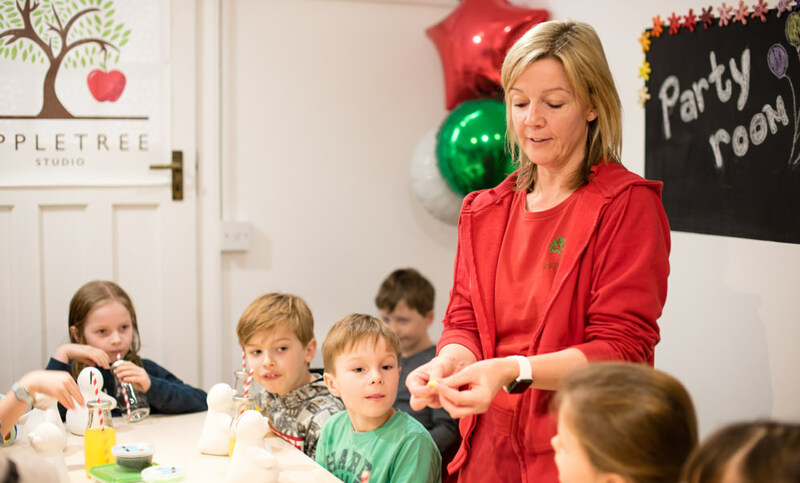 Whatever your party requirements we’re on hand to help tailor a package to your needs, to make things easy we’ve put together some party packages that we know the kids will enjoy. Party room bookings have a minimum of 10 guests and to book the full studio you’ll need a minimum of 20 guests. Choose from a selection of mugs, bowls and plates, each guest will get to paint one item from available stock. 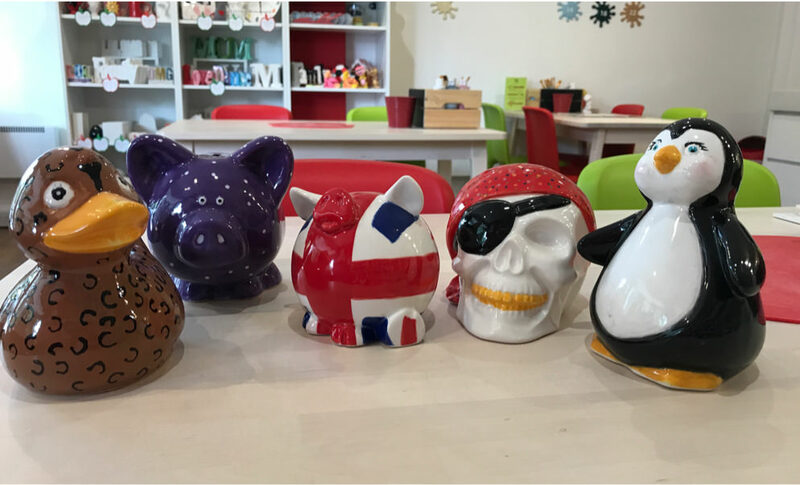 Choose from a selection of money boxes, each guest will get to paint one item from current stock. 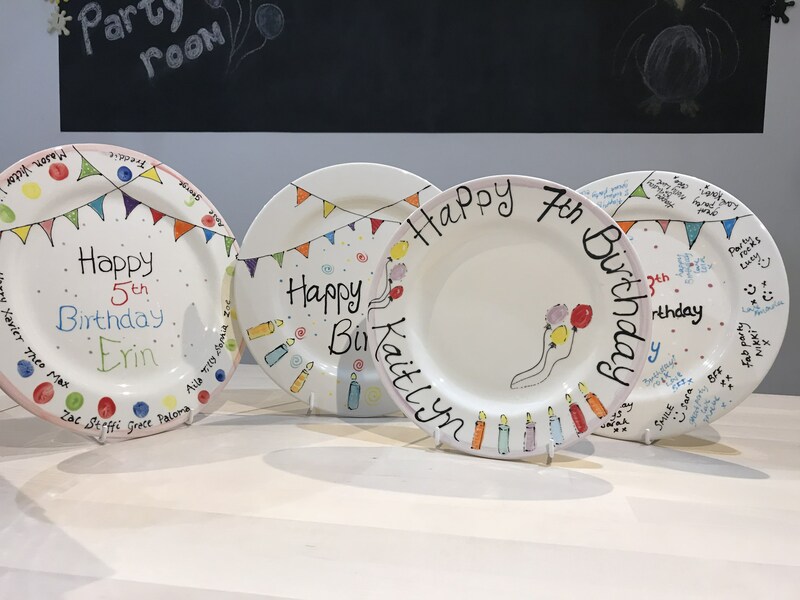 For a great keepsake from the party, why not add on a signature plate for all the guests to sign. If you have specific requirements, we can tailor any package to your needs, just call us on 01483 285 007 to discuss. 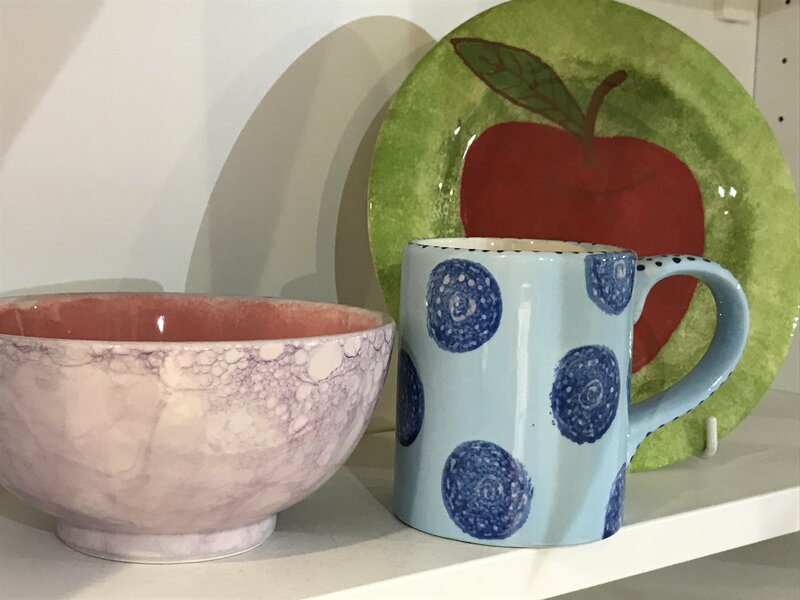 Get creative in our paint your own ceramics pottery studio! 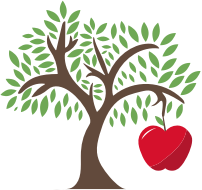 Ideal for all ages, choose from a wide range of pottery items, bowls, plates money boxes and other novelty and functional items to name a few. Whilst there why not enjoy a wonderful selection of drinks for both tea lovers and coffee fans and how about a scrummy cake or brownie too! 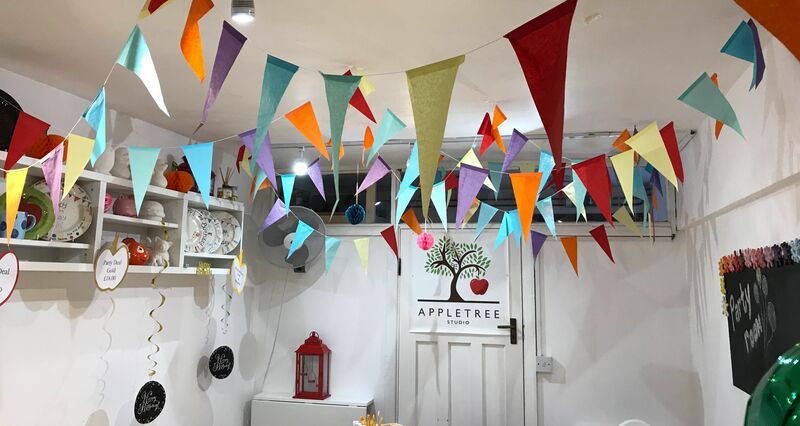 Here at The Apple Tree Studio we offer great party packages, birthdays, baby showers, hen parties, work do’s. There is studio fee of £3.50 per painter plus your chosen item or items, then get creative. It’s best to book a table at busy times such as weekends and school holidays, a minimum studio time of 2hrs is guaranteed at busy times, at quieter times you are welcome to stay longer. Please call 01483 285 007 to make a booking.